> Giving > How Can I Help? With God all things are possible. The great majority of our students come from inner-city homes where families struggle to meet basic needs. A Catholic Education, though desired, is not affordable for these young men and women without the generous help of others. You can give the gift of hope, through a quality Catholic Education, to our students. Any donation large or small makes a difference in the lives of our students. 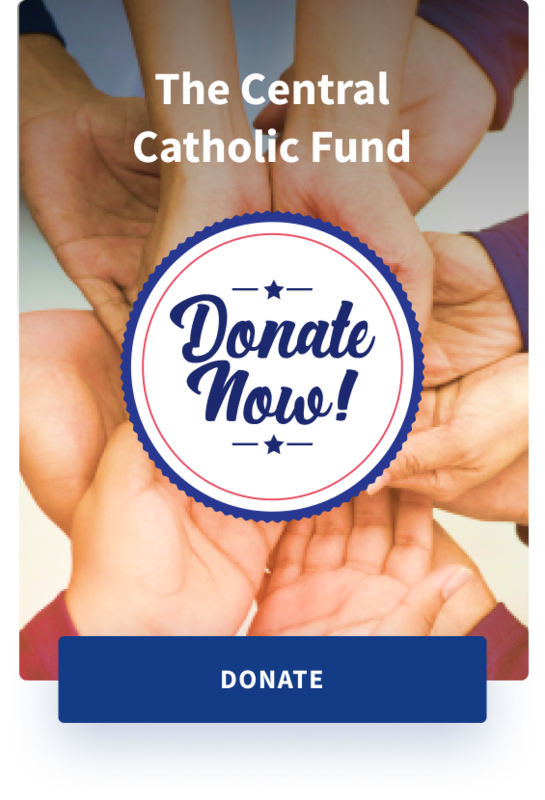 Donate Now by credit card on our secure page, mail a donation to Office of Advancement 6550 Baxter Ave. Cleveland, Ohio 44105, or call 216-441-4700 and ask for the Office of Advancement. Donate tangible property or services specifically used for CCC’s tax-exempt function. Contact the Office of Advancement to arrange for your donation. Donate tangible property or services specifically used for CCC’s tax-exempt function. Contact the Office of Advancement to arrange for your donation. With a commitment of at least $2,500, each member of the CCC Angel Flight will be assigned a student to sponsor, and can follow the progress of that student at Central Catholic. For more information contact Director of Advancement at 216-641-2034. There are many ways to give a gift that can benefit CCC while still allowing you to meet your families future financial needs. Commonly known as planned gifts they can be set up to allow changes at any time (revocable gift) or be differed until after your lifetime (and that of a surviving beneficiary if you wish). The best option for you will depend on your specific circumstances. Whichever vehicle you choose the result will help CCC students for years to come. We are here to answer any questions you might have about planned giving. We can examine your particular situation and together with your attorney and/or financial advisor, help you find ways to support our mission while ensuring your family’s financial security. Start the conversation by calling 216-641-2034. The information on this page is not intended as legal or financial advice. To understand your specific situation contact an attorney or financial professional.